Retired teacher Rhonda Gatlin wrote about one of her favorite childhood memories in her new book to show children the joy family can bring. Rhonda Gatlin Author Rhonda Gatlin reads her new book, "Aggie's Purple Hands," with her grandson, Oliver Osbourn, at at a book signing Aug. 2 at Ruben's Wood Craft and Toys in Boulder City. 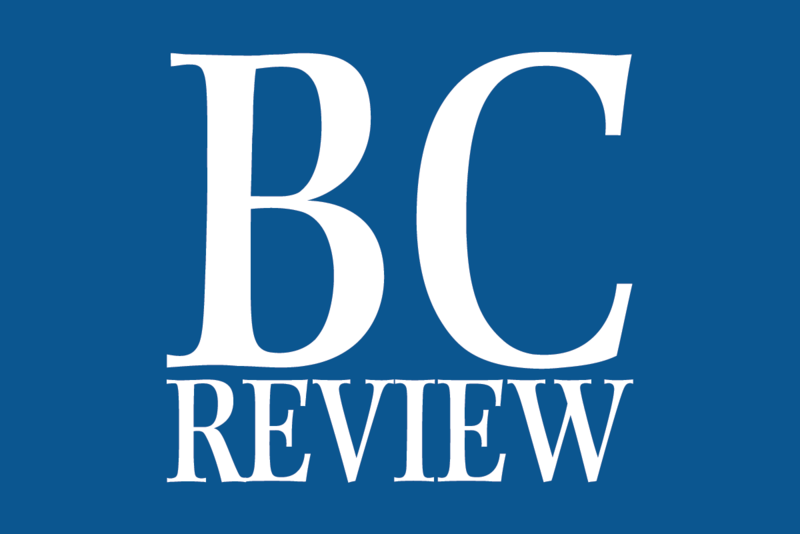 Celia Shortt Goodyear/Boulder City Review Local author Rhonda K. Gatlin has written her second book, "Aggie's Purple Hands," which was released Tuesday, Sept. 4. “I want children to realize that back then family stuck together, worked together and spent life together,” she said about her writing. 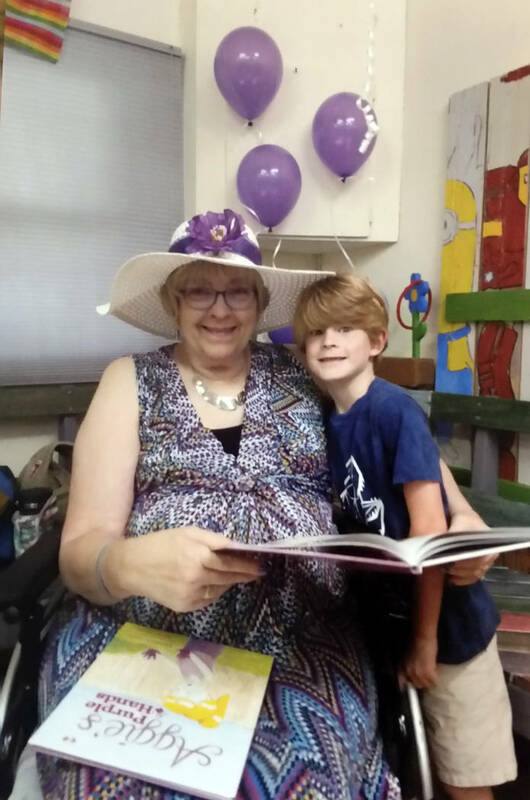 Her newest book, “Aggie’s Purple Hands,” is another story from Gatlin’s time at her grandparents’ house in Alabama. This one is about Aggie learning how to make Scuppernong grape jelly with Granny. “Aggie is so excited because she is going to Granny and Papa’s house to learn how to make jelly,” Gatlin said. Once Aggie is asked to help, she comes up with a way to keep the grapes from coming out a bowl while she is mashing them. Unfortunately, her hands turn purple from the grapes in the process, and she and her family must figure out a way to get them back to normal. Gatlin, who is from Alabama, said she and her family moved every few years but were at her Granny and Papa’s house a lot. Like her first book, “Granny’s Cobbler: A Counting Book,” there are some counting lessons. Gatlin said Aggie has to count cups, pints and quarts in the story. 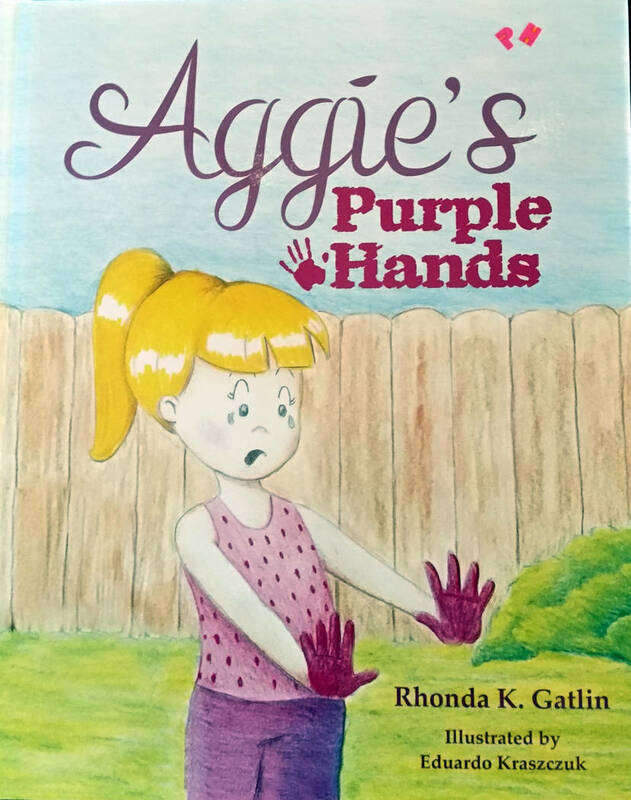 “Aggie’s Purple Hands” was released Tuesday, Sept. 4, and there will be a book signing from 10 a.m. to 2 p.m. Sept. 15 at Anthony’s on the Parkway, 1312 Boulder City Parkway. Gatlin’s book is $14.95 and available for sale at Ruben’s Wood Craft and Toys, 555 Hotel Plaza. Gatlin also has some copies available and can be contacted at rhondakgatlin@gmail.com.